August is a month that makes me both happy and sad. Happy because it is my birthday month! Sad because it means summer is almost over. Before we know it, the leaves will be changing color and the air will turn crisp. Until then, I’ve been making an effort to spend every last moment of summer outdoors in the warm weather. During the evenings when the sun is shining I like to head up to my rooftop for snacks, drinks, and just to relax. 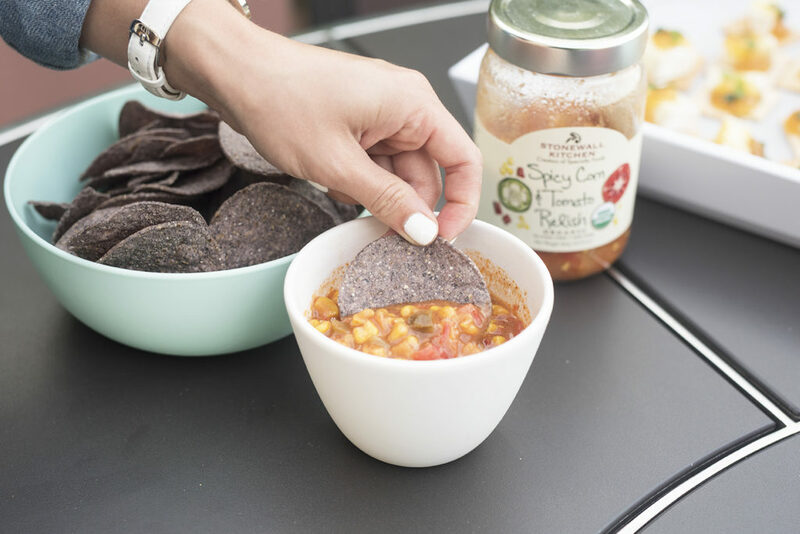 For this post I wanted to put together a few super simple snack ideas + a list of essentials for outdoor eating. I keep a few items on hand to make packing/transporting food easy. One of my favorites would be Bee’s Wrap. 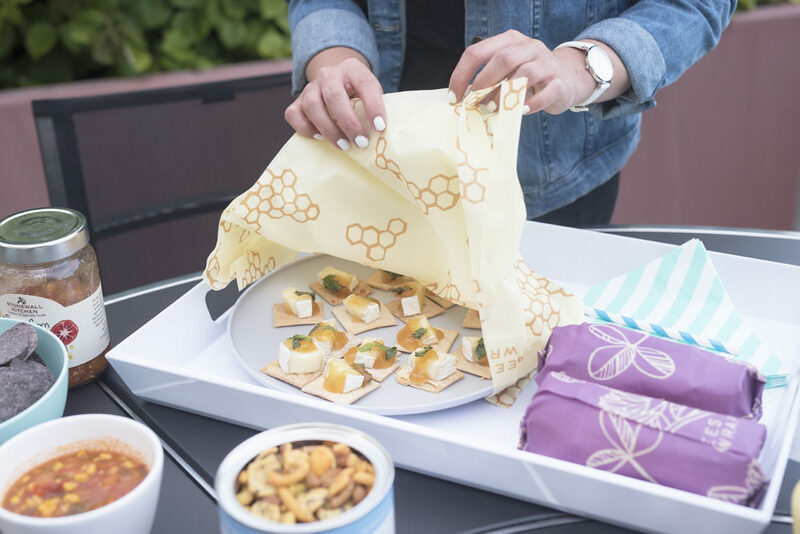 Made from organic cotton and beeswax, their reusable food storage sheets making packing sandwiches a breeze. Not to mention the colors they use are so bright and fun! I also use them to cover leftovers so it really has helped me cut back on my plastic wrap waste. They are also very easy to use. I place my sandwich right in the center and wrap it as if it is a present. Since the material is waxy, you can tuck the corners in and they’ll stay put. When you’re ready to eat, unwrap and enjoy. The plates, napkins, and serving tray you see here were all purchased at Target and it was the best purchase I ever made. Most of the plates and dishes in my apartment are ceramic because I really like the quality and how long they last. However, bringing ceramic plates upstairs is just wayyyy too heavy and inconvenient! I used to get my melamine plates at CB2 (they do have a really cute outdoor section) but I noticed that Target recently came out with melamine and plastic collections that are not only affordable ($0.99 per plate) but the color palate was right up my alley! I did not want to lose out on that. 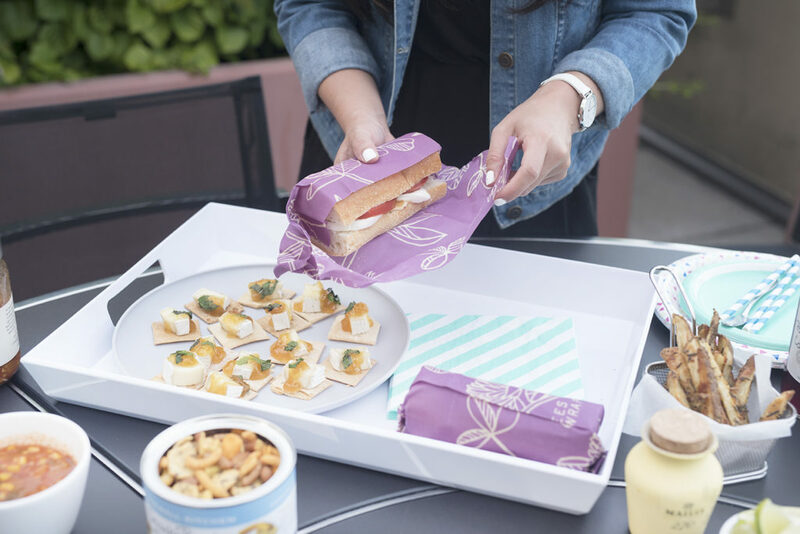 The serving tray is large enough to fit snacks, plates, and napkins so it makes transporting everything really easy. On to the snacks. 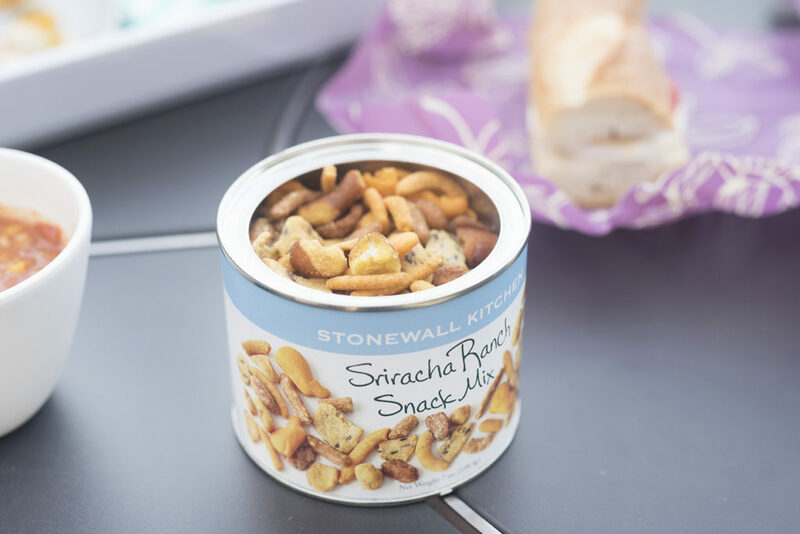 Whether it is a pre-mixed snack mix like the Sriracha ranch mix here or one that you make on my own, I recommend always having a snack mix on hand. Especially if you are big on entertaining. 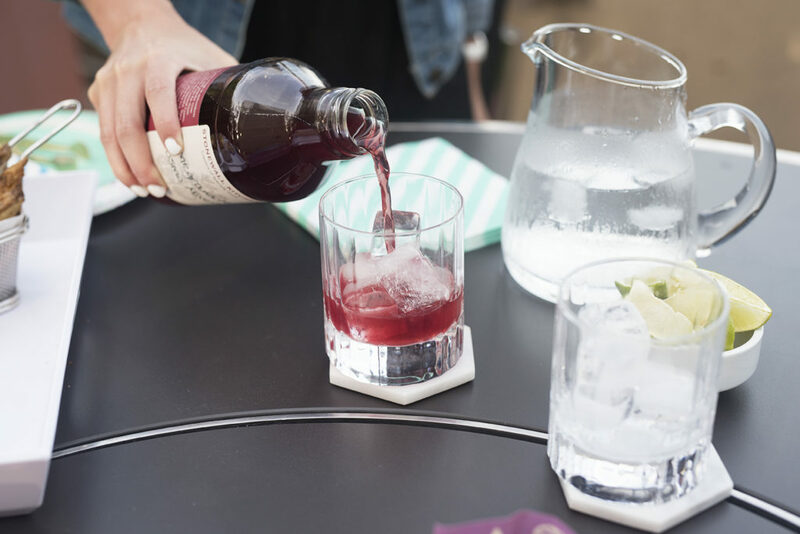 It’s an easy way to get something on the table quickly so guests can enjoy a light snack with their drinks. If I don’t have a pre-made snack mix on hand, I’ll quick whip them up from stored nuts and seeds from my pantry. 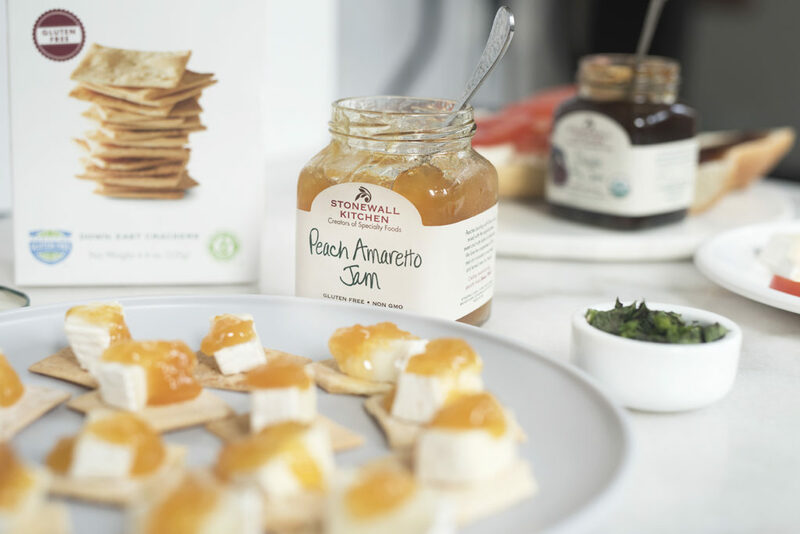 Cheese and crackers are great on their own but I like to jazz them up with a fancy jam. I really love the peach amaretto jam from Stonewall. 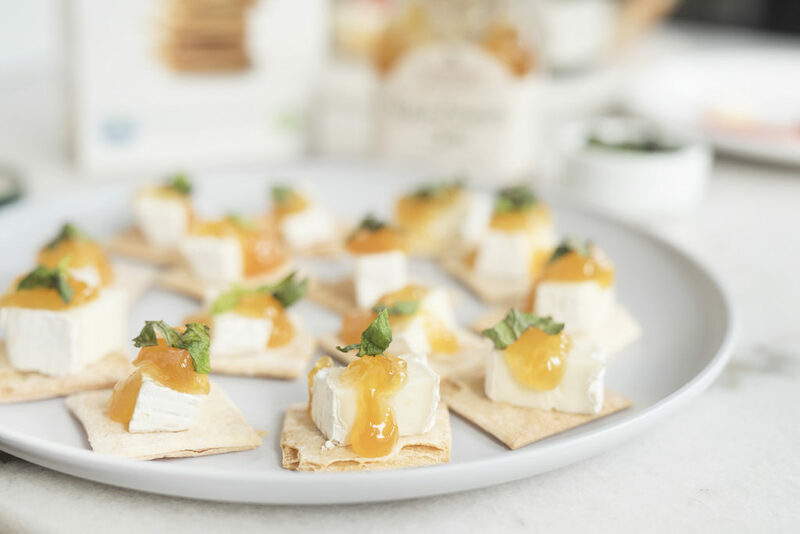 I layer a chunk of brie cheese on a simple plain cracker then add a dollop of peach jam and a little bit of chopped fresh mint. It comes together in less than 5 minutes and the flavors work really well together. 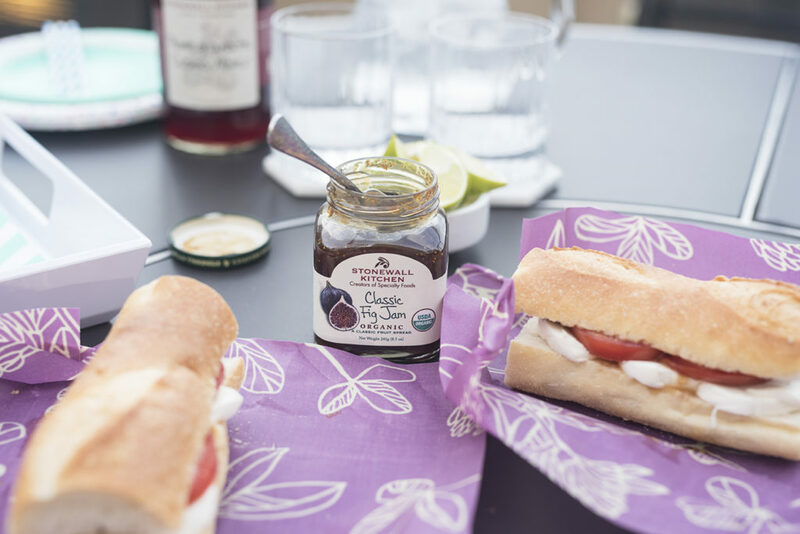 Speaking of jam, I also used their classic fig jam on the sandwiches. I cut a crusty french baguette in half then sliced the halves open to create tops and bottoms. I layered fresh mozzarella and slices of juicy tomatoes on the bottom. I the top, I smeared a good sized helping of the fig jam. You could also add basil but unfortunately my grocery store was all out. I love how the jam adds just a little bit of sweetness to the sandwich. Also make sure your tomatoes and mozzarella are fresh and of high quality! 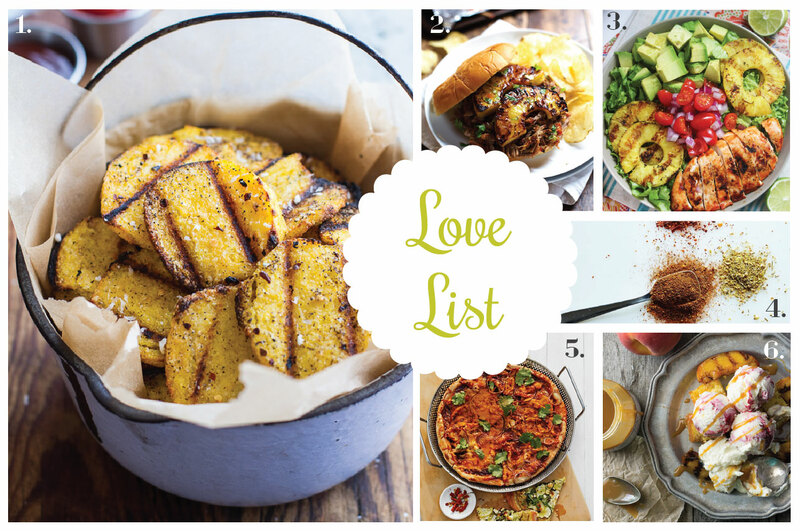 Since there are so few ingredients with this, the quality of the ingredients really stands out! Down below you’ll find the recipes for the snacks featured here! Do you have any essentials for outdoor eating? Directions: Cut brie into small cubes. Place on cracker and top with peach jam. Chop mint leaves and sprinkle on top of crackers. Directions: Cut baguette in half and slice lengthwise to create tops and bottoms for the sandwiches. Slice mozzarella and place on bottom half of the sandwiches. Slice tomato and place on top of the mozzarella. Spread a 2 tbsps of fig jam on top. Place the top part of the bread on top to create the sandwich, wrap until ready to eat. Directions: Fill two cocktail glasses with ice. 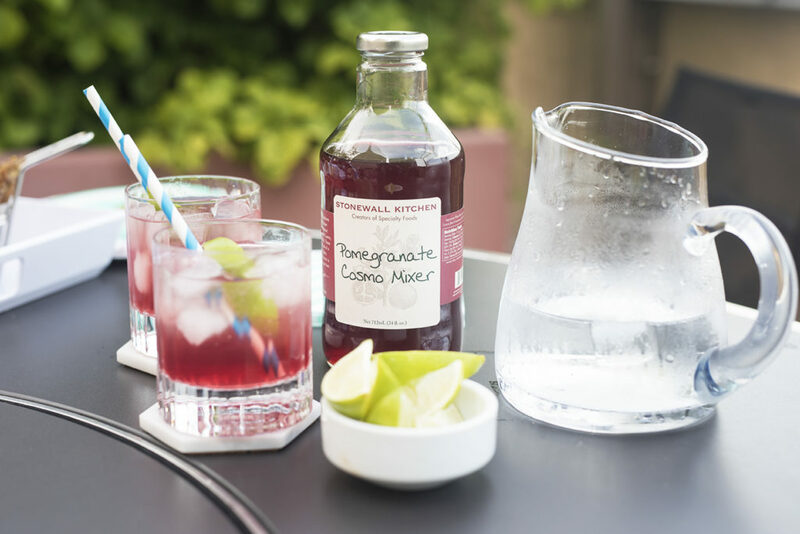 Pour 1 ounce of the pomegranate mixer into each cocktail glass. Cut lime in half and squeeze the juice from half of the lime into one glass. Squeeze the remaining half into the other glass. Fill each to the brim with seltzer water. 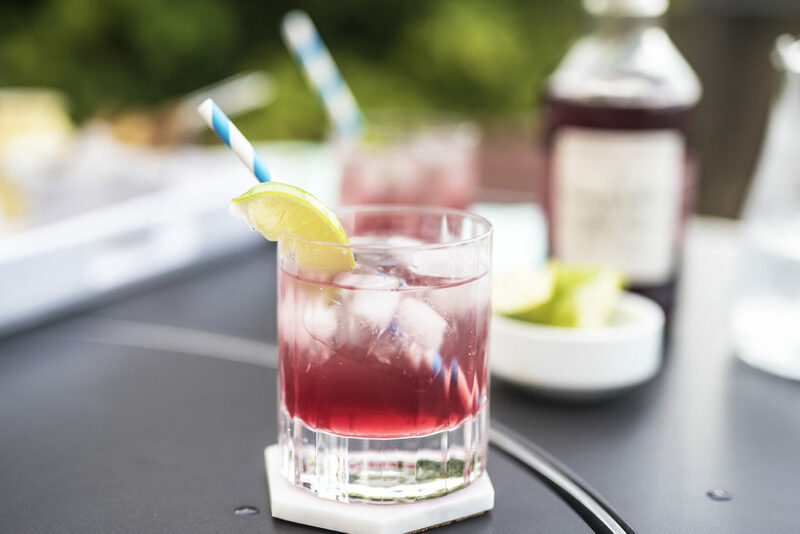 Garnish with additional lime wedges (optional).